Money makes the world go round! 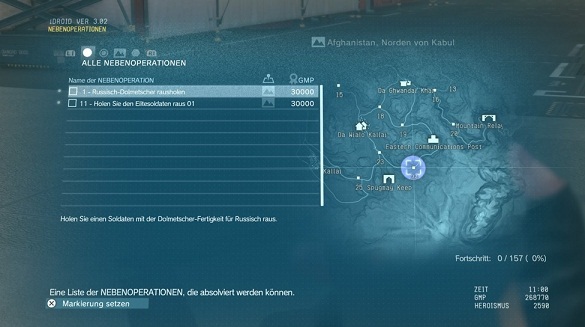 In MGS 5: The Phantom Pain, currency called GMP (Gross Military Product) which serves as means of payment. Make money in MGS 5: The Phantom Pain is not easy and of course, with the maintenance of a whole army in the ocean cost a lot. So you always remains liquid, we introduce you to the best methods to earn quick GMP in stealth adventure. Whether you go or your Fulton Recovery System used on missions, for almost all actions in the game requires your GMP. Then there are the expensive research contracts for weapons and armor, cost over 10,000 GMP. To increase your account, you have the following options. These short optional side quests are a lucrative income, where you get an adequate amount of GMP. You can also play repeatedly. However, decreases the reward with each repetition. Built as soon as possible a platform for combat units on your Mother Base and then send your men to passive outdoor applications where they generate GMP for you without your further intervention. You can thereby light emissions for little money or select risky bets for more currency. Pay attention to the strength of your unity, as your mercenaries can personalize missions also injured or even die. Pay attention simply on a dazzle that you can already see from a distance. Normal diamonds give you 10,000 GMP, while large diamonds give you even 100,000 GMP. 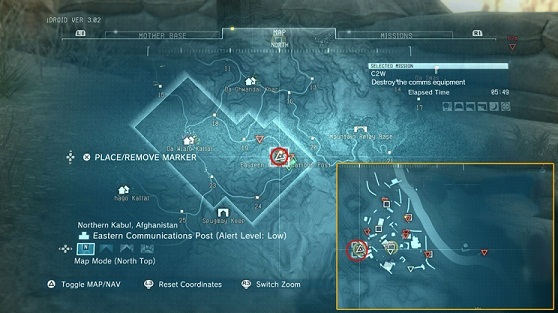 The location of such a large diamond you can see in the below screenshot / map. All you captured on missions or drags on the Mother Base with the Fulton Recovery System, you can also sell off them again. You can even sell all waste materials. For each mission statements you get a bonus in the form of GMP. The higher your rank, the higher this falls. In the table below you can see how much percent of the points as GMP bonus will be credited.